Happy Tutorial Thursday! Today we have a fabulous tutorial showing how to create a stunning layout from an everyday kind of photo! 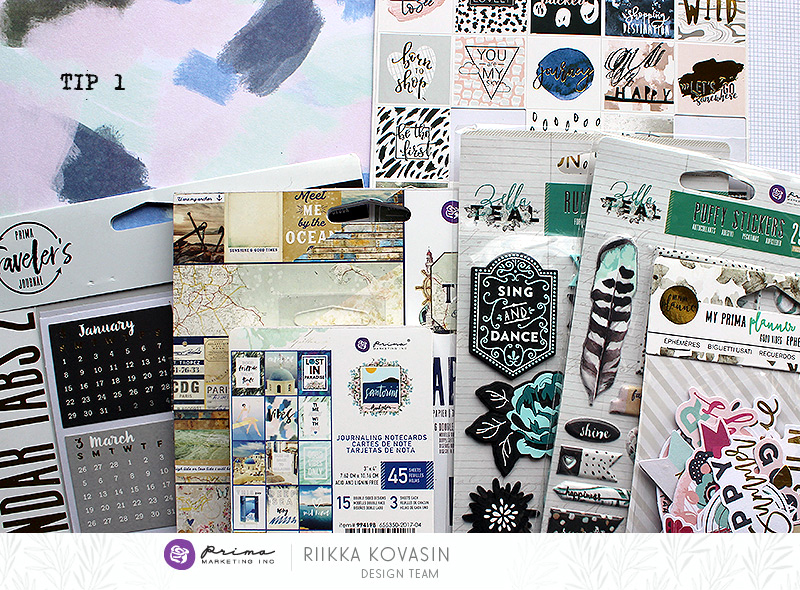 Riikka is filled with creative information, and she's an amazing teacher, so make sure you watch the video as she shares lots of tips and tricks! Tip 1: Let the color rule. A fool proof way to make the layout look cohesive is to use a color scheme throughout the page. Use the color scheme to pick the papers, embellishments, and maybe even the photo, too. Or choose a main color from the photo and go from there. You can mix different collections and elements, but everything will go together, ruled by the color. Tip 2: Something under, something on top. To tie the photo to the page easily, add something on top of the photo and something under. And that doesn’t always have to be something grand, a paperclip or two will do the trick wonderfully! Tip 3: Clip it to fit it. Out of alphas? I always run out of Es. Bring in the scissors or use your imagination! Usually you can change a letter to another with some cuts or just by flipping it around – like a 3 for an E.
Tip 4: Use your handwriting. No one writes like you do. Your handwriting is unique and a part of you. You may not like the way your handwriting looks now, but you’ll cherish those pages later as it makes the pages more personal. If you don’t want to show your handwriting on the front, use a tag or journal and add to the back of the page. Here's a great challenge! Choose one, not-so-exciting event that happens in your house everyday and just snap a photo, get it on a layout, and write down a few silly or serious things that evolve around it. From doing the dishes, to making breakfast, folding laundry, or brushing your teeth...those can really be life-changing moments when your kids open up to you, or your sweetie and you just support and help one another. It really is the little things that sometimes lead to the bigger things in life!